Penelope Cruz, born in Spain in 1974, was first a successful Spanish actress before breaking through in Hollywood mid 2000. She got her biggest recognitions in 2006 for Volver and 2008 for Vicky Christina Barcelona. 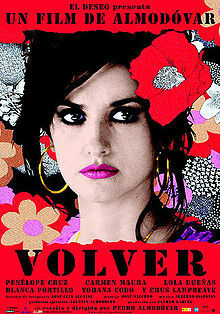 She did some great acting roles, but seems to be at her best when working with director Pedro Almodovar. The beauty and fashion industry quickly understood the strength of this big brown-eyed beauty and soon she signed contracts with Mango, L’Oréal and Lancome. For Mango, she did several capsule collections together with her sister Monica. And recently, she became the face of the Tresor perfume of Lancome. Penelope also does her share of good work, like volunteering in Uganda and India and supporting charities of the late Mother Theresa. In addition she contributes in the battle against AIDS and this year she also posed for a PETA ad campaign. She seems to be able to stay away from the paparazzi and keep her private life very much private. In 2010 she married fellow actor Javier Bardem and in 2011 they welcomed their first son Leo. This entry was posted in & Other Things, Fashion and tagged penelope cruz, woman of beauty by sofischoice. Bookmark the permalink.